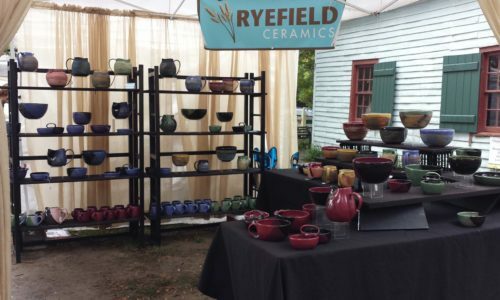 This year marks the Ryefield Ceramics seventh year attending the Lewes Historical Society Fall Craft Fair. 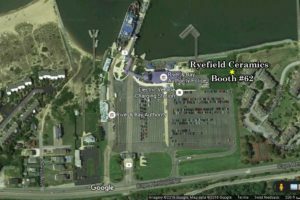 In years past, the fair was held on the grounds of the Lewes Historical Society but due to a construction going on the grounds the fair is being held on the green of the Cape May-Lewes Ferry Terminal (43 Cape Henlopen Drive in Lewes, Delaware). The Fall Craft Fair is on Saturday, October 1, from 9:00 am until 4:00 pm. Admission will be $5.00 per person, children under 12 are free. Proceeds from admission will benefit educational and preservation programs at The Lewes Historical Society.